SonexAus – Fitting firesleeve I recently spent about an hour unsuccessfully trying different methods to fit a length of tight-fitting fire-sleeve to a fuel hose. Here’s a really nifty method that makes it easy. 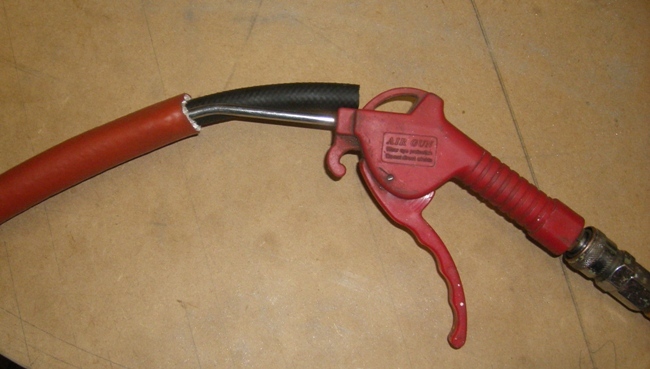 Use an air nozzle to blow air between the hose and the fire-sleeve. The fire-sleeve expands and the hose just slides in. I imagine that if you were having trouble fitting a condom this method would work a treat.